[synopsis] Every Day meets Cloud Atlas in this heart-racing, space- and time-bending, epic new trilogy from New York Times bestselling author Claudia Gray. Marguerite can’t let the man who destroyed her family go free, and she races after Paul through different universes, where their lives entangle in increasingly familiar ways. With each encounter she begins to question Paul’s guilt—and her own heart. Soon she discovers the truth behind her father’s death is more sinister than she ever could have imagined. A Thousand Pieces of You explores a reality where we witness the countless other lives we might lead in an amazingly intricate multiverse, and ask whether, amid infinite possibilities, one love can endure. What makes up the identity of a person? What traits are at the core of our being? What is unchanging and constant within you when all other variables are not? 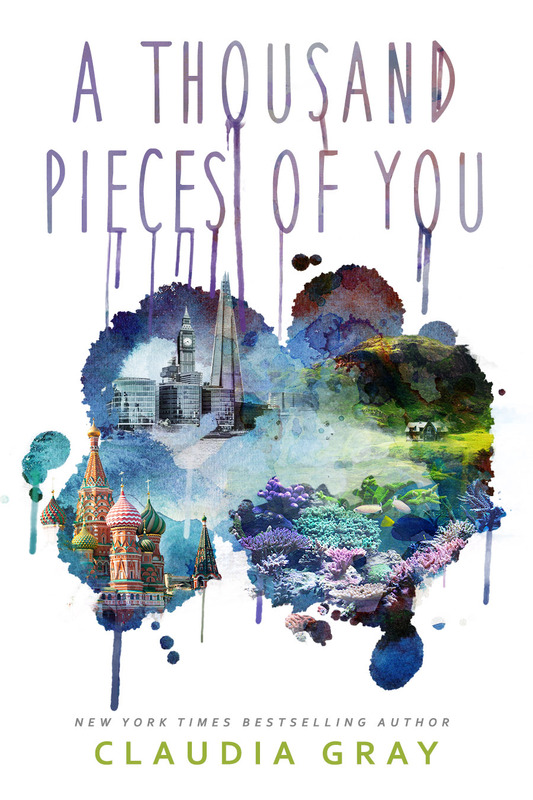 These questions are at the center of Claudia Gray's latest novel A Thousand Pieces of You. In this novel there are an infinite number of universes instead of the one we currently occupy. At every point in time where there's a fork in the road, there is a different universe that branches off. There is a universe where Hitler won WWII, there is one where China colonized America before Columbus, there is a universe for every minor decision that could ever have been made. From this you may get the idea that any and every situation can occur, that our lives would be so radically different because one day we ordered something different at lunch. what really resonates with me is that which does not change those elements that are present no matter what path that person takes - things that are fated. I believe we all have free will, but I have to admit that I have always liked the romantic notion that some things are just meant to be. So when a little later in the novel, genius physicist grad student, Paul, discusses the scientific probability of destiny my interest magnified. He explains that "patterns reoccur, in dimension after dimension. Those patterns reflect certain resonances...people each have their own resonance...[and] it looks as though groups of people find each other, over and over. Not invariably, but far more than mere chance would suggest." Enter A Thousand Pieces of You, where characters in each universe are the same yet not the same. Just because I would do something a certain way, is it safe to assume that the same Amanda in another dimension would make the same decisions? How ethical is it for me to make those choices for her? To remove her agency? To a certain extent, circumstances have shaped the characters, but it becomes clear that their essence - what you could say makes up their soul, remains constant. Marguerite is an artist surrounded by geniuses - her mother, father, sister and all their research assistants. Her home revolves around the pursuit of knowledge regarding interdimensional travel as well as trying to create a way to travel safely between the dimensions. The novel begins with Marguerite reeling from the murder of her father by his most trusted research assistant Paul. After destroying their data and stealing their one prototype, the firebird, Paul becomes the first dimensional jumper. Alongside another research assistant Theo, Marguerite sets out to avenge her father's death by confronting Paul in any dimension she has to. I liked learning about the little details of interdimensional travel. Marguerite could only travel to universes where her unique genetic makeup already exists. If your parents never met, then that is a universe you'll never be able to see. If you have already died, there is no body there for you to take possession of. There is no such thing as time travel, all the universes are on the same timeline. We cannot see the dinosaurs, we will not end up in the consciousness of some alien body. In every dimension Marguerite learns more about herself, her parents, Theo and Paul. Some things are comforting, and others painful. One may laugh the same, but carry themselves differently, speak a different language, have more or less family members. In one dimension technology is slightly more advanced, in another, seemingly almost 100 years behind. But as Paul mentions we see that groups of people are finding each other over and over again throughout the dimensions, they are always there even when so many other things have changed. When I think about my own life, I know I am blessed. What if I was born into a third world country in extreme poverty? What if I was born and lived in a time of war? What if I was born 50 years ago, 100 years ago? You would think that you would have to be so different than you are now. I probably wouldn't be as educated. I might not have lived as long as I have. I could have died from a simple illness, or some terrible tragedy. But reading A Thousand Pieces of You made me think of the smaller things. Would I have the same smile or the same sense of humour? Would I be as resilient in a more difficult time? Who would I be if I was illiterate or lived in a totalitarian state? The novel really tries to sense the nuances of some of the characters, trying to find something deeper than their time and situation. In it, we see untapped potential and endless opportunity. It is bittersweet in that sense. It's almost like the characters are given another life in each dimension. It can make them feel happier about their original dimension or at the very least, satisfied that somewhere another version of them is in a better place. Where the plot is riveting and exciting, I have to admit the character development is not as strong. There was a lot of devotion towards Marguerite from the other main characters, but it almost seems unwarranted - maybe if there was more backstory in the beginning I would see why she seems so adored by everyone else. Claudia Gray tells us why things are the way they are, but in regards to Marguerite, she falls short. Since Marguerite is an artist, I couldn't help but think it seemed like a cop out - a way to keep from fully explaining the science behind the multiple dimensions. I suppose Marguerite is supposed to be like the average reader though, since we would most likely not understand higher level physics either. This is the first of a trilogy and I'm hoping it gets better and better. I zipped through it because the whole premise is great, and there were a few twists here and there that made me have to stop and really think back to prior interactions. There is regret and indecision, there is love and loss, and there was a dimension in Russia that I particularly loved. There were so many characters to get attached to and there they were more fully developed and integrated with Marguerite. In that dimension, the plot, the characters, and the emotions all came together perfectly. The cover by Lead Designer Alison Klapthor and artist Craig Shields is so beautiful and captures the novel in such an appropriate way. Once you finish the novel take a look at these covers again. The two images side by side are the ones that didn't go through to publication! The sequel - Ten Thousand Skies Above You comes out November 3rd 2015 and I am anxiously awaiting it. This is a novel that makes you want to think about what makes you who you are, I hope you like what you find.